Illovo Sugar (Malawi) Limited and FMB have donated K500,000 and K200,000 respectively to the Institute of People Management Malawi (IPMM) to assist towards the organisation of the institute’s annual conference scheduled for 30 October to 1 November 2014. 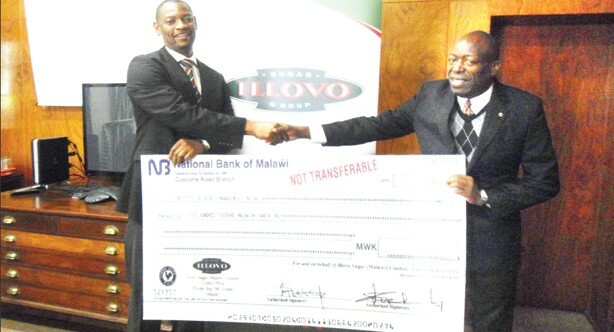 Speaking when he handed over the donation, Corporate Affairs Manager for Illovo Malawi Walter Nyamilandu- Manda said Illovo was happy to be associated with IPMM because it realises the important role the institute plays in the management of people in the work place. “Illovo is one of the biggest employers in the country employing about 15 000 people. We recognise that employees are an integral part of the business and we value the contribution they make to the success of the business. We hope that our modest donation will go a long way to help in the success of the conference,” he said. On its part, FMB said it believes in value creation through continuous trainings and, therefore, thought the donation will help towards that quest for human resources personnel. IPMM Executive Director Emmanuel Chinunda commended both Illovo and FMB for the support.